In2itive and their learning technology solutions have enabled us to deliver millions of e-learning courses to hundreds of thousands of organisations and individuals around the world. Our learning platforms are used by hundreds of thousands of users across many organisations worldwide. The In2itive Learning Management System (LMS) facilitates e-learning and e-learning management, enabling you to deliver online training and collaborative solutions to internal employees or external paying customers. Our LMS and consultative approach can help you embrace learning technologies, share your expertise and develop your people and business through the web. Rather than provide another generic off the shelf learning platform, we focus on companies who want flexibility and who value a consultative approach. Our secure and reliable learning platform is customised to meet your functional preferences, brand and your customers' needs. We provide valuable direction, working with clients for the long term. Some existing client relationships go back over 10 years! 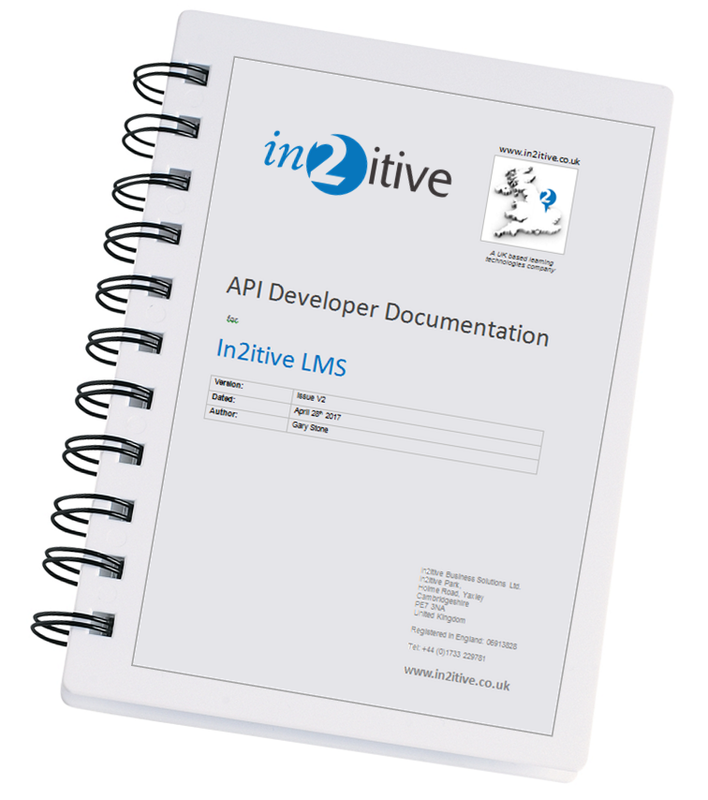 Our extensive API allows your existing business systems and software applications, such as HR, CRM and Intranet systems, to communicate with the In2itive LMS. Integrating the In2itive LMS with your business systems, via our API, means you can benefit from improved efficiencies and cost savings through more streamlined business processes. Whether you are growing a training business or developing large and complex e-learning systems, we can help.